Leo Moore from Tullamore and his bride, Jo Parada who were married in Milltown, Dublin. 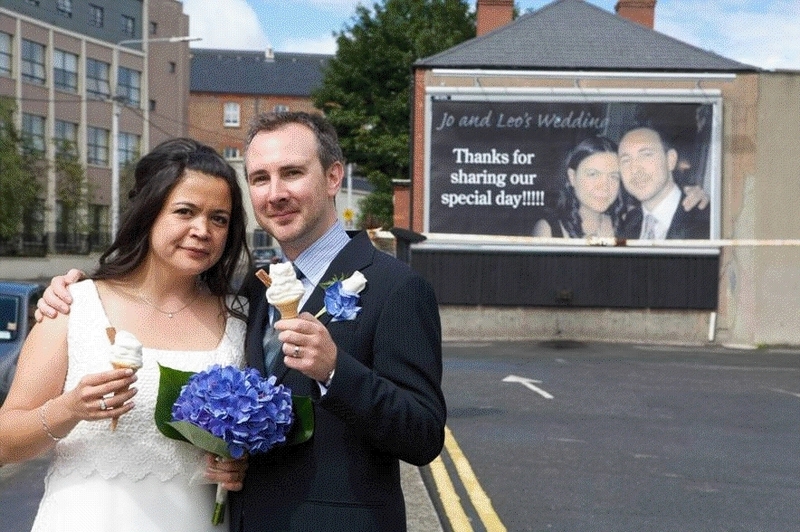 Leo and Jo thanked their guests via a billboard on the Milltown Road in Dublin 6 which read: "Jo and Leo's wedding. Thanks for sharing our special day!!!!"